Courtesy of Cole Realty & Mortgage, Leah Cole. Great location with no rear neighbors. Separate Living & Family rooms! The Kitchen was previously updated. Wet bar. Most walls have been painted white. New carpet in Living & Master Bedroom. Double sinks, tub, & step in shower in Master. Two outdoor porches (Front & Back) + enclosed porch. The Back porch is shaded by an avocado tree & feels very peaceful & private. Extra wide carport w/ curved supports. Convenient location close to Costco, TriCity Medical, Carlsbad Mall & movie theater, Beaches, & more! Please, send me more information on this property: MLS# 190007999 – $115,000 – 2130 Sunset Dr Unit 77, Vista, CA 92081. 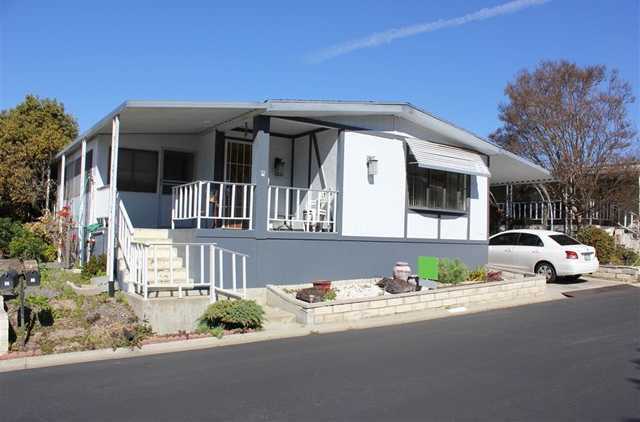 I would like to schedule a showing appointment for this property: MLS# 190007999 – $115,000 – 2130 Sunset Dr Unit 77, Vista, CA 92081.